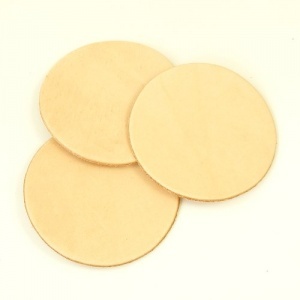 These little coasters are great for perfecting your embossing and carving skills. 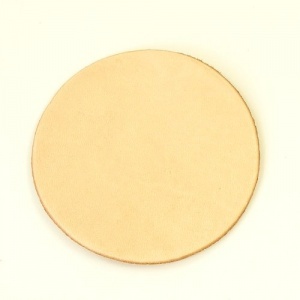 Made from undyed veg tanned leather, they can be dampened and then carved or stamped to your own design, and then dyed or painted once dry. You can even back them with another piece of leather and stitch around the edge for an extra special finish. Decorated coasters make an excellent gift! These are the larger of 2 sizes, measuring 95mm (3 3/4") across.